First things first: I received a complimentary copy of Reading Rainbow’s beautiful new story The Rhino Who Swallowed a Storm by LaVar Burton so I could read it and share it with you. All opinions are my own. Two years ago tomorrow, Hurricane Sandy devastated the East Coast. I remember it all to well. My area wasn’t hit with the massive flooding and damage that those right on the coast saw, but we did lose power for eight days. To say I went a little crazy is an understatement. My regular readers may remember my rant to my power company begging them to please come get the tree off the wires and the wires off our road. Although that was a very dark time for me and my anxiety disorder, it was nothing compared to what many children went through. Families lost their homes. I was lucky in comparison. Why am I bringing up painful memories two years later? It’s relevant, I promise. LaVar Burton’s (yes, THE LaVar Burton from Star Trek: The Next Generation) new Reading Rainbow book, The Rhino Who Swallowed a Storm is more than just a charming bedtime story for kids. It’s a powerful tale that can really help them heal after a tragedy. In the story, little Mica Mouse is frightened when a storm starts brewing outside. Like many other children, she lost her home in a hurricane. You can imagine how even a distant rumble can be terrifying after that. Mica’s grandfather pulls out a story book to soothe her. The illustrations switch from photograph-style (not quite sure of the technical name, but more realistic, like stop animation) to softer painting-style pictures. 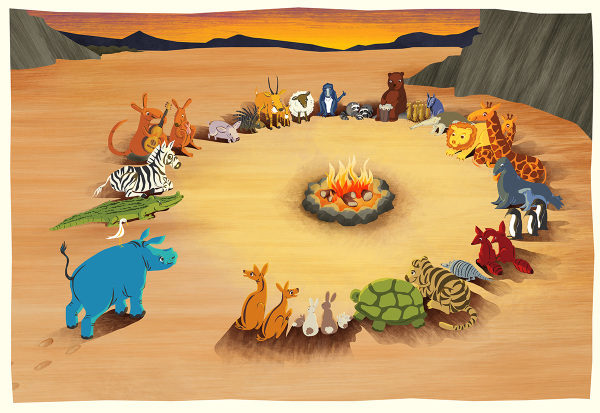 In the story within a story, a sweet rhino becomes upset by a storm that takes away all his loved ones. He thinks everything will be okay if he can just swallow it, so he does. But the storm brews within him, making things worse. Finally, he has to let it out. When he does, all his friends are there to help him rebuild. The story sounds simple, but the messages are powerful. First, you have a little mouse who is terrified of losing everything again. Then, in the internal story, you have the rhino who basically swallows down his emotions, including his anger. Finally, you have the message of hope, of rebuilding and of friendship. A message that tells kids that even if you lose every material thing in the world, you can rebuild as long as you have each other. The Rhino Who Swallowed a Storm is a fantastic story to help kids on the road to healing after a tragedy. It opens up so many discussions and lets you address feelings they may not even realize they have. I’ll be honest, I cried a bit! Hurricane Sandy was just such an emotional time for me and my loved ones, so this book really touched me. LaVar Burton even includes discussion questions at the end of the book to help you guide the conversation with your child and facilitate more healing. I would recommend this book not just for those who were affected by the devastating hurricanes in recent years, but for any child who has experienced a traumatic experience. It’s also great for children with difficulty expressing anger. 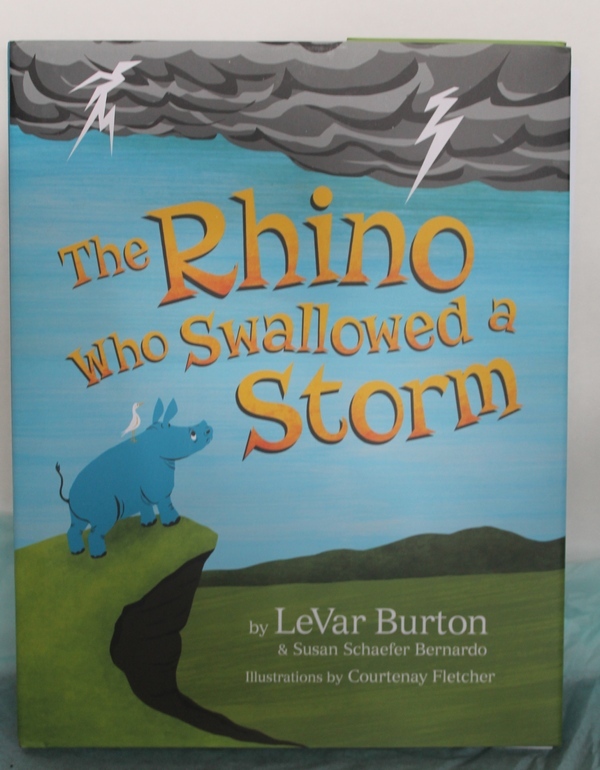 Visit Reading Rainbow to learn more about The Rhino Who Swallowed a Storm, then head to Amazon to grab a hardcover copy for your child. I think children’s books like this are such a valuable resource with helping kids who have been traumatized. I have always loved Reading Rainbow and Levar Burton!! I think this book would be helpful for kids in my town since we recently had a very scary and damaging earthquake. That’s seriously the cutest book title ever! It definitely caught my attention. This book would be perfect to read to my kids at bedtime. Wow, what a great book. This would be great to add to our book collection. So adding this to my boys book collection. I love a great story that pulls in reality. Books that help children heal are such wonderful books to keep on the book shelf even before they are needed. I think kids that read them also are taught empathy towards others going through difficult situations as well. Sometimes I have found that books written for children are powerful healing agents for adults as well because of the simple way it is presented. I’ve been surfing online more than 3 hours these days, but I never founnd aany interesting article like yours. uch more helpful than ever before.